Loja : Rich in coffee history and taste. We know and share the best. After watching a recent candidate forum presented by UTPL (Loja’s technical university) live-streamed on Facebook, the management team of Free Walks Loja decided to invite the 2019 candidates from all the political parties to take the young company’s most popular excursion, the Coffee Tour, during the campaign season prior to this year’s election. At this year's Bracamoros coffee growers' fair, Coffee Tours of Loja enjoyed the hospitality of Loja's premier organic coffee purveyor (and stop on our most popular specialty tour)-- Equanativa Shop and Cafe. 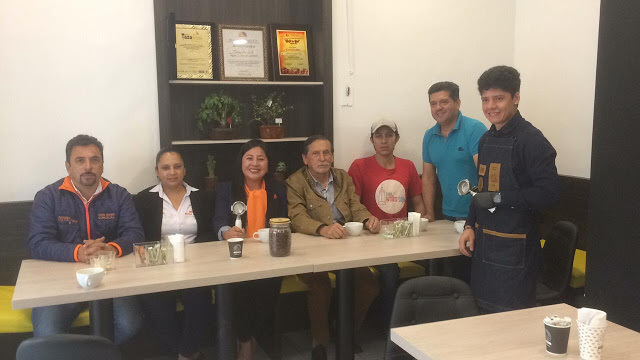 Traveling with Equanativa's owner, Arturo Jimenez, we saw first-hand the origin of many varieties of coffee from southern Ecuador served and sold in Loja's finer coffee shops. The tenth edition of the southern Ecuador growers' coffee fair was held in the village of Palanda, in the canton of the same name due south of Vilcabamba on route 662 to Peru, nestled between Yacuri National Park to the west and Podocarpus National Park in the east. The Encuentro Del Café VI 2018 coffee grower's expo in Loja, Ecuador, offered a wealth of interesting information, and it wasn't all just about coffee. José de Saeger, a Belgian with a shop in Vilcabamba, Loja province, has been making chocolate from locally sourced cacao powder for over a decade. José's chocolate brand "Del Páramo," puts out a ton of chocolate every day, he claims, using several types of Ecuadorian cocoa. Part of his holdings are 40 hectares of cacao fruit-bearing (theobroma) trees or cacao plants in Palanda Canton, in the Amazonian province of Zamora-Chinchipe, southern Ecuador. 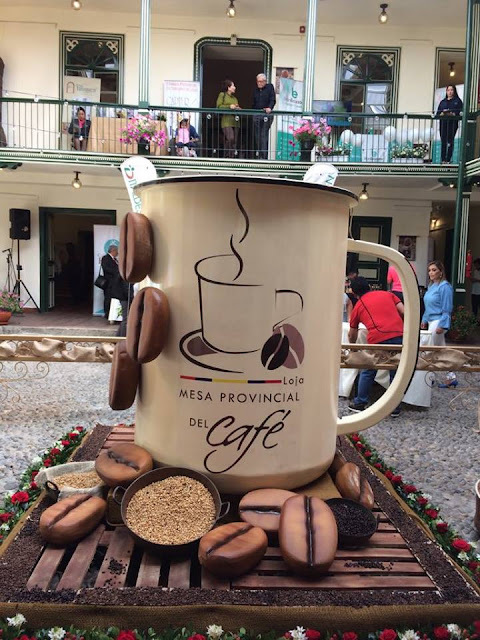 This year's coffee expo, Encuentro Del Café VI 2018 in Loja, southern Ecuador, was an especially well organized event. Formerly held in the modern Benjamín Carrión Mora theater at the northern limits of the city, the 2018 coffee expo was relocated to the refurbished and recently re-opened cultural museum, also known as the Central Bank Museum. One of the oldest buildings on Loja's main Central Park square, the antique architecture provided a conveniently placed and beautiful setting to display the best coffee Ecuador has to offer. Loja Sabor A Café is being held again in the most coffee area of Ecuador. This is the sixth meeting held in this city and will be held on September 19, 20 and 21 of the year 2018 in the Museum of the House of Loja Culture on Calle 10 de Agosto across from Parque Central. This event has already become a tradition that has been carried out since the year 2012. The organizers of this event are the provincial government of Loja, the national government of Ecuador, and public and private companies related to the production and sale of special Arabica coffee.